It challenges the imagination, therefore, to understand why you should have participated in writing the paper about to be published in Psychological Science. It will surely generate more of the abusive messages which you don’t enjoy. To illustrate how abusive your paper is, imagine for a moment, if you will, that you were truly sceptical in your approach to the natural world. That you shared something similar, perhaps, to the attitudes of Newton, Rutherford, Pasteur, Galileo and the rest. You took nothing for granted, no matter who told you, and were keen to see evidence for each theory you encountered. Then let us say that an idea has taken hold in the popular mind that mankind is heating the earth to a dangerous degree. Some heating may already have taken place, but, because of a measurable increase over about 200 years of atmospheric carbon dioxide emitted by human activities, and more to come, there will be a dangerous amount of heating over the next 100 years, and we must modify our industrial and personal behaviour to prevent these emissions. Imagine that a major portion of the future heating rests upon an untested theory that predicts feedback from increased atmospheric water vapour, which will cause the ocean to warm. As a sceptical person, you ask, quite naturally, how this warming from the greenhouse effect will get from the air to the ocean and you listen with rapt attention to the answer, which concerns an ultra-thin “skin” on the surface of the water which, under the influence of minor extra heating from downward infra-red radiation from CO2, modulates the transfer of heat from the water to the air, so the ocean stays warmer for longer. The answer this time is an accusation of denial. You are anti-science, you’re told, a denier of climate science, probably in the pay of big oil, certainly under the influence of capitalistic think tanks and their coordinated attacks on honest scientists and you are recklessly delaying humanity’s response to the greatest challenge of our time. Climate change will destroy the earth as we know it and the day of reckoning for climate deniers will come. There will be a climate court where you can be held to account for your crimes of denial against humanity. Would you feel betrayed, even offended? Would you object that you were only trying to understand, that something didn’t sound right and you asked for some evidence, and this was no way to repay honest enquiry? I’m still reading the paper and I’ll let you know of any more deprecating material I find there. About those abusive emails you get: did you know that if you keep doing the same thing, the same thing will happen? But I’m confident that, if you stop abusing others, they will stop abusing you. I’m looking forward to examining your data, but even more to the happy cessation of this vulgar, preposterous campaign against free speech, which your paper takes to a whole new low. 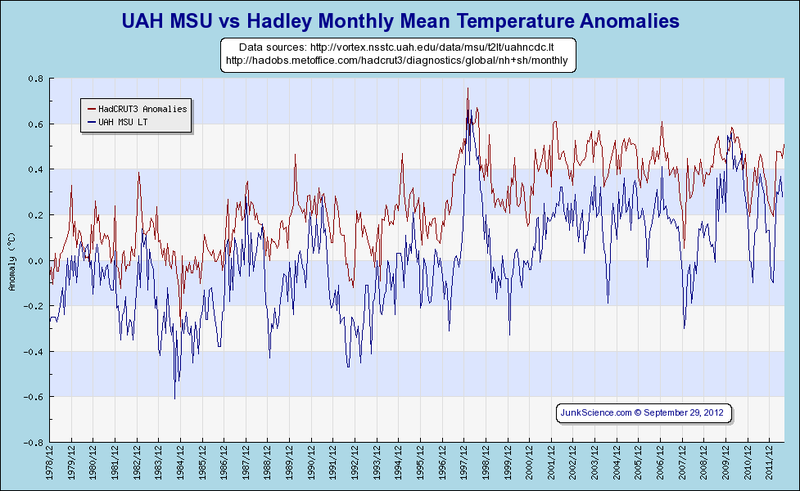 Bishop Hill has the data here, which Simon at Australian Climate Madness uses to show that the paper’s very title is wrong. Simon found that Lewandowsky’s data contains 10 responses indicating that the moon landings were faked. Of those 10, 60% accept the consensus position on climate change. So the paper’s title should read: “NASA faked the moon landing – Therefore (Climate) Science is Real.” If, that is, you believe that the statistical logic on either side carries any weight. In fact, the so-called rigorous, peer-reviewed academic paper is everything but. I’m betting he trashes this before he has read more than a third of the way down. If you had offered him right of reply on this blog there is a small chance he might have read it completely but little chance he would have replied. He will simply have no wish to engage with either the material or with us. It seems that things are picking up pace on this issue. That would be the case even if the paper is withdrawn. Also put’s the spotlight on Psychological Science and it’s peer review. UWA can’t hide either. Richard – you might be waiting a while for a response. Perhaps unsurprisingly, this paper has caused a considerable media response and a flurry of activity on the internet. I have also received a fair amount of correspondence, so much in fact that I have been unable to keep up with it. I apologize to those who have not received a reply to recent messages, and I hope this post covers some of the issues raised. Unlike some of the people who have been emailing me, my work is subject to ethical guidelines and is subject to approval by my University’s ethics committee—as is the work of any other behavioral scientist in Australia and elsewhere. It is therefore not solely my decision whether or not to reveal the identity of people who were approached on the presumption of privacy. I wonder if he still has his “out of office” responder on? He’s in, or should be in, a great deal of trouble. It’s been an hour without a reply so far. Either he’s turned the auto-reply off, or his email client is offline. You’re righter than right, Huub. Given his position, I cannot really imagine a public conversation with him here. But, this post might contribute in some small way to the pressure he’s under and help to ensure a just result. Also, just as I enjoy reading your reasoning, and as some people will adopt the arguments Lewandowsky makes, so some will be keen to hear a response to those arguments. Again, our audience is largely silent but watchful. How did his work gain approval from the University’s ethics committee? If they routinely approve this standard of work, there must be a systemic failure of the committee’s objectives. This is a matter for the University Council. “the skin effect slows the transfer of energy from the water”. 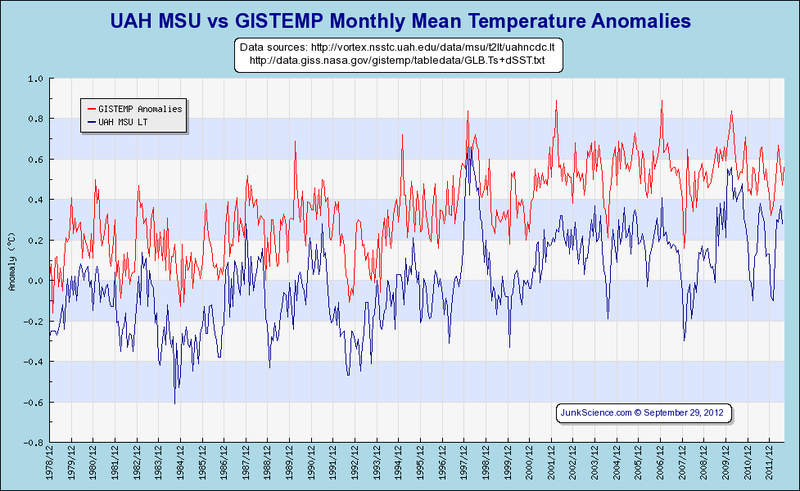 This suggests there is an ‘artificial’ build-up of heat just under the skin, which would show up in all SST measurements. 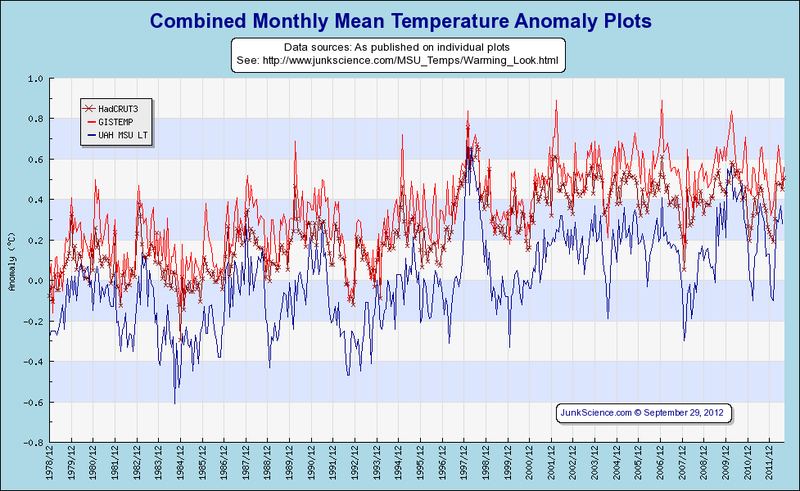 But no such warming has been observed. On the contrary, the NOAA theory is that the heat must be accumulating in the ocean depths below the penetration of ARGOS floats. Perhaps Dr Lewandowskey can explain how that skin-generated heat gets to Davy’s Locker without first passing through the zones that are being monitored? The ‘scientific’ team is in deep water on many levels. If such a metaphor holds water. Dr Lewandowsky appears not to have realised that doing the same thing twice and expecting different results the second time is the very definition of stupidity. I suspect he is one of those rara avis that doesn’t realise the breadth or depth of his own foolishness. What did you mean by “rara avis”? I originally searched for Lewandowsky and had had no returns. In a comment above, I gave permission for Lewandowsky to identify me if they had sent me an email that I hadn’t located. In Lewandowsky’s post today, he reported that the inquiry was not sent out by him personally but by his research assistant. I searched again this time under the term “uwa.edu.au” and located an email from Charles Hanich on Sep 6, 2010 asking that the survey be posted by Climate Audit and a second request two weeks later. Like many people, I get lots of emails. I didnt know Hanich and I didn’t pay any attention to the request at the time. I didnt reply. Lewandowsky stated that the blogs in question “likely replied to my requests under the presumption of privacy and I am therefore not releasing their names.” Given that I made no reply, I don’t understand why their original inquiry would raise confidentiality issues. The study itself looks pretty goofy and to be compromised by fake (Gleickian) answers from readers of Tamino, Deltoid etc , but that is another story. I get accused of being a liar a wrecker etc. They cannot see or acknowledge any other view than their own. Technically rarae aves as used above (“one of those rare birds…”). Blimey, another Latin scholar, watch out Monckton! drives them across the seas to sunnier climes. stretching out their hands in longing for the far shore. I took a look. Now I’m wondering whether it’s worth attacking lighting for the sake of fighting global warming. It’s more likely, in the light of comments by the head of Philips, to be a brilliant marketing strategy to sell more bulbs. Because Philips’ CEO said that, globally, lighting uses 20% of electricity produced. That seems to be fairly accurate. The greens don’t contradict that. But the target for reduction education is primarily the domestic lighting market. how much of the lighting market does that represent? Only 28%, globally. So we’re looking to reduce 28% of 20% of the world electricity market. That’s quite small and seems to be (unconfirmed yet) about 0.0005 of human CO2 emissions in 2009. There is the assumption that using CFL lightbulbs actually reduces electricity usage. Since a lot of people leave them on longer because they take longer to light up, this might not actually be true. They are. I have no problem with CFLs as a concept, I even bought some the other day, but my daughter, for one, refused to put them in her room because they take so long to warm up. I think they have their place, but I would hate to be forced to use them, as has happened in some countries. The Ministry’s guidelines are quite sensible, but reading down the list, you discover that if a CFL breaks, you must “Dispose of any clothing or bedding that comes into direct contact with powder or broken glass.” If that’s because of the mercury issue then the risk alone makes it uneconomical – clothing or bedding costs significantly more than the CFL. But if it’s just because of the broken glass then I suppose it would apply equally to incandescents as well. I don’t have a problem with CFL either if used and disposed of carefully. What I find hypocritical is the “environmentalists” complete refusal to acknowledge that there might be any danger whatsoever due to mercury contamination, yet when it comes to their pet hates – CO2, nuclear, asbestos etc, no quantity whatsoever is tolerable. Andy, that’s so right about mercury. They’re hypocrites. The EECA campaign to get everyone to use less energy only exists to fight global warming. But to render the message more palatable and to answer the natural question “what’s in it for me?” the propaganda emphasises the financial benefits. Simple, right? Trouble is, it falls down with the CFL bulbs. I got mildly enthusiastic a few years ago when the price came down a bit and installed a dozen or so CFLs around the house. I started replacing them within less than six months (I didn’t actually keep a diary on them, wish I had). The best of them lasted only about two or three years. That completely scraps the economic argument that they’re the cheapest light bulbs, which would have trumped the environmental arguments. Now I think: these incandescents cost a little more in electricity, but so what? I’ll pay the price happily. Anyway, it saves a little on heating. Thanks, Bob, touching. In the hands of a master poet there’s no more stirring image than a river of countless people returning to the afterlife. It lifts the aim and sharpens the gaze. That’s exactly right, for cold days anyway. This is another example of flawed logic at hand. If we use “energy efficient” lighbulbs, we need to heat our houses with something else. I am not against regulation and control. I am against stupid regulations based on junk science and distorted priorities. Anyway, this personal rant of mine has taken us way off topic. It will be interesting to see whether the university acts on this complaint, and any others. Of course, one aspect of the complaint has changed since Steve McIntyre admitted finding an invitation. But the paper still draws statistical inferences from pathetically small samples. Yes, I’m sorry, too, I joined in. Here’s a thought Richard. Al Gore is giving a talk in Auckland soon. Should we all brush up on our Latin and get Monckton over to ambush him? The request to Steve McIntyre was made on Sep 6th, a full week after the survey had already been publicised ar Tamino’s and Deltoid, where commenters had discussed how to game it, whether sceptics would fall for it, etc. a week after the survey was posted at 6 or 8 warmist blogs, Lewnadowsky’s assistant got round to asking the help of Steve McIntyre. Thanks, Val. Yes, very interesting. In one comment, a mere three days passed after McIntyre was asked to participate before Lewandowsky was presenting “results” in public. You can’t have too much Vergil, you know. Or Vergilius, if you will. So is it Vergil or Virgil? Will I Vergilius or will I not? That depends on who Vergilius was. Was Vergilius his uncle, perhaps? Nope same bloke, that was his name: Publius Vergilius Maro. Bit of a mouthful. Shorter Richard: When we insult you it is free speech. When you insult us* you are trying to shutdown debate. Conclusion: free speech is good except when it isn’t. Oh, and you’re not allowed to ignore insults…..even in your personal inbox. Am I correct to characterise this as an assault on free speech? For it is that and more. Evidence is disregarded, arguments are misdescribed and people are maligned to spoil their case. Do both sides make against each other exactly the same complaints? For I find myself wondering whether you support this post or not. HKMKNG_ee191483 – Brand C – Mystery? Should give the UWA Ethics Committee something to chew on. I think one commenter unkindly suggested that the man shouldn’t have even been awarded a degree never mind become a Professor. Lewandowsky, Oberauer & Gignac must be feeling some heat by now (Ha!) surely. More to come at least from OnlineOpinion and JoNova. When TVOne’s “Closeup” programme posted something about Neil Armstrong’s death on Facebook, I was surprised and dismayed at how many commenters subscribed to the moon landing conspiracy meme. There’s variations on the conspiracy that gets lost in the scrum (and Lewandowsky’s survey). I happen to subscribe to the variant that NASA promoted SOME photographic material as being from the moon when subsequent site reconstruction by computer spatial software that has become accessible to power PC users (e.g. Survey CAD) revealed the exact same mountain background profile occurring in camera shots taken in different directions. So although I solidly know the moon landings weren’t faked, I do think there was some NASA PR skulduggery wrt SOME of the photographic material purported to be of lunar origin. The topology of the site should match the topology in the photos as per map. A perfect example of circular logic – I release a dubious paper on conspiracy theories, then critics of mine find flaws in it which means they are conspiracy theorists. Also the original “traverse map” on which it was based. Clicking and zooming on the images for full size brings them up nicely. I think Andy’s right, and pontificating about how right he was avoids answering our more pertinent questions about the paper claiming so much from just 10 “sceptical” responses. Wish I’d thought of that! I have absolutely no idea where anyone would get it into his wool-filled brain cavity that giving him permission to release information he claims to wish to release is evidence that I or anyone else harbor a conspiracy theory. I also don’t know why he thinks anyone would have egg on our faces if it turns out we are on the list. We are asking precisely because we want to know. Moreover, we are asking the information be shared because we want others to know. I would also like to respond to his insinuation that we haven’t some how looked hard enough for the emails. I can only speak for myself, but I am happy to reveal why I am not going to look harder. Conducting his survey may have been important to him at the time but it’s really nothing to me. I do not think its importance to him compels me to maintain records of our email exchanges for his sake. I does not compel me to burn email exchanges with perfect strangers into my memory nor to resurrect the hard drive which died in 2011 so that I can search for any emails he might have sent me in 2010. “wool-filled brain cavity” – Ouch! “precisely the same result” Huh? Plus Bickmore, Hot Topic, Scott Mandia, Ill Considered, Trunity. Those appear to be the hotbeds of conspiracy theory according to Lewandowsky research. Not a good look for “readers of pro-science blogs” (as Tim Lambert at Deltoid puts it) and “people who follow science blogs” (as Gareth Renowden puts it). I don’t recall the invitation at Hot Topc. Obviously (as with Lucia) it wasn’t important to me if I did see it, to the extent of it not even registering any memory. CO2TempUp – I believe that burning fossil fuels increases atmospheric temperature to some measurable degree. CO2HasExpiredEffect – I believe that the effect of CO2 has been all but exhausted already. The identification of “people attempting to scam the survey” by Tom Curtis and similarly “fake skeptics” by Steve McIntyre sure takes the wind out of John Mashey’s sails (he of the “fake skeptic” meme). Pingback: The Daily Lew | Watts Up With That? Attacking other users or anyone holding a different opinion to you is common in debates but gets us no closer to understanding the science. For example, comments containing the words ‘religion’ and ‘conspiracy’ tend to get deleted. Comments using labels like ‘alarmist’ and ‘denier’ are usually skating on thin ice. Lewandowsky has stated that an online survey by an opponent was “useless” “without the authors demonstrating the integrity of their data” and that their study “should not have been published without the authors demonstrating the integrity of their data—I doubt that they could”. Words that apply even more forcibly to his own study. I guess it all depends on whose ox is being gored. “Yes John Cook is the administrator for Lewandowsky’s outlet at shapingtomorrowsworld.org. So, given what happens on his own blog, where there’s serial deletion of comments, and even post facto modification of comments later without the commenters knowledge, it really should not surprise anyone to find that same sort of behavior going on at the Lewandowsky thread when difficult direct questions are asked. “John Cook also runs the Climate Science Rapid Response Team website” [courtesy of UWA]. I wonder too, and you can bet that JN over in WA will not be backward in coming forward to UWA about it now that the cat is out of the bag. The Lewandowsky/Cook/UWA cabal very foolishly took on Steve McIntyre. No prizes for guessing who will win. In March of 2012, the same computer illiterates at Skeptical Science who do not know how to use Google Scholar had their forums hacked and the contents posted online. In these I am mentioned in at least 65 discussions, with 17 forum threads started that specifically mention my name and one forum category devoted entirely to discussing the Popular Technology.net list of papers. These discussions involve almost entirely with how to “deal” with the list. One of the ways they attempted to “deal” with the list was by having a former bike messenger and man-purse maker Rob Honeycutt write a Google Scholar illiterate post. In it Rob failed to use quotes when searching for phrases, is unable to count past 1000 and failed to remove erroneous results such as, “Planet Mutonia and the Young Pop Star Wannabes” – believing it to be a peer-reviewed paper about global warming. After being unable to refute how Google Scholar actually works they resorted to an extensive censorship of my comments and eventually a site wide purge of all of them. In addition to Lewandowsky using fake data, many of Lewandowsky’s results, including the result in his title, are fake as well. Lewandowsky’s claimed yesterday that their “results withstand skeptical scrutiny”, but this claim is untrue . Removing the outliers (which removes the most grotesque fake responses, but not all of them), Lewandowsky’s signature conspiracies (MLK, Moon, 9/11) – all of which have negligible adherence – are now disproportionally held by warmists. I think I detect an irony there somewhere. This kind of unscientific poor standard work would not get attention or have any credibility if it were not funded by the Australian Government. According to his 28 page CV he claims to have been a part of $4.4m in grants. If we do not demand higher standards and turn off the tap filling this well of personal bias dressed as research, we’re letting good scientists down, we’re letting hard working tax-payers down, and we’re letting our children down. Lewandowsky et al stated that “links were posted on 8 blogs (with a pro-science science stance but with a diverse audience”. Lewandowsky identified the eight blogs (in an email to Barry Woods) as: Skeptical Science, Tamino, Bickmore, the UU-UNO Clmate Change Task Force (trunity), Ill Considered, Mandia, Deltoid and Hot Topic. The relevant posts at six of the blogs have been located, but the relevant post at SkS, either no longer exists or never existed. Today’s question: did John Cook destroy all evidence at the SkS site of the existence of his posting the Lewandowsky thread? if so, why? Or are the claims by Cook and Lewandowsky to have posted the link untrue? This issue was originally raised by Barry Woods and Geoff Chambers, but have not been resolved by either Cook or Lewandowsky. The claim by Cook and Lewandowsky that SkS had destroyed the record of the survey being posted at SkS (and the related comments) is odd on a number of counts, not least of which is the ability to locate the relevant thread on the blogs less closely connected to Lewandowsky, but not from Lewandowky’s protege and close associate, John Cook (also the maintainer of the University of Western Australia blog.) Further, University of Western Australia research policies require that “data must be held for sufficient time to allow reference.” In the case of an online survey, the records of the survey actually being posted on the 8 blogs are essential data. Lewandowsky postulated that Cook “removed it when the survey was closed because then the link would have been dead.” But why would Cook do this? It’s highly unusual for blogs to delete old threads. Nor was there any particular reason for Cook to delete this particular thread – none of the other blogs bothered to do so. Deletion would be especially odd given Cook’s association with the University of Western Australia, the policies of which required preservation of documents necessary to verify claims in a research article. It is, of course, possible and, in my opinion, probable that the survey was never posted at SkS in the first place. As Geoff Chambers has already observed, there is substantial indirect evidence to this effect from the lack of mention in the private SkS forum in which Lewandowsky participated and the lack of mention in Wayback archives of the survey identification in connection with SkS. In my opinion, the Wayback machine record is overwhelmingly against the Lewandowsky and Cook claims that a link was posted and later destroyed. Conspiracy theorist Stephan Lewandowsky, in keeping with SkS style, has rewritten the history of his blog hosted by the University of Western Australia. 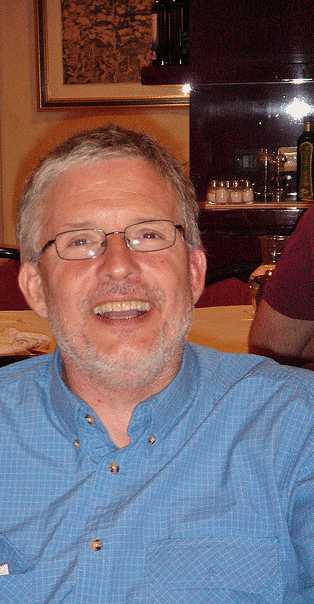 Tom Fuller, who does online commercial surveys for a living, has sharply criticized the Lewandowsky’s tainted methodology – a methodology that relied on fake data to yield fake results. Over the past week or so, Fuller has commented frequently on Lewandowsky threads here, here, here and here. Although Lewandowsky snipped some of Fuller’s comments, over the past week or so, all or part of about 50 comments were approved. Today, Lewandowsky (who is being assisted by an SkS squadron) liquidated every single comment by Fuller on the entire blog, leaving rebuttals to Fuller in place without the protagonist. This is different from not approving the blog comments: it’s an after-the-fact cleansing of Fuller from the blog. The University of Western Australia should hang its head in shame at Lewandowsky’s Gleickian antics. But the tactic, which really is nothing more than a fancy term for calling your opponents crazy, exists. It is reprehensible. So when I accuse climate alarmists such as Chris Mooney, Kevin Prall, John Mashey and now Stephan Lewandowsky of using the tactic of medicalizing dissent, I am not trying to say they are Stalinists, Nazis or Maoists. That would be like calling people deniers… a thuggish tactic if ever I’ve seen one. The latest attempt is Stephan Lewandowsky’s paper, ‘NASA faked the moon landing, Therefore (Climate) Science is a Hoax: An Anatomy of the Motivated Rejection of Science’, scheduled to be published in Psychological Science in the near future. The paper describes the findings of an internet survey and finds a correlation between belief in a ‘laissez faire’ conception of free market economies and rejection of climate science. The paper is badly flawed, primarily because the internet survey is junk science. I am a market researcher who has extensive experience with online surveys. I’ve done them for government, non-governmental organizations, companies and volunteer groups. I’ve done a lot of them. Over 1,000, most of them in the UK when we were cranking them out like sausages to the tune of 25 a week for two years. McIntyre v Lewandowsky — Can we call in a statistician at UWA to help Lew? Lewandowsky’s most recent blog post really makes one wonder about the qualifications at the University of West Anglia Western Australia. I mostly agree with this part of Lewandowsky’s comment, though I would not characterize statistics as merely “differentiating signal from noise”. In respect to his comment about regarding the ability to do a linear regression as deep competence, I presume that he was thinking here of his cousin institute, the University of East Anglia (UEA), where, in a Climategate email, Phil Jones was baffled as to how to calculate a linear trend on his own – with or without Excel. At Phil Jones’ UEA, someone who could carry out a linear regression must have seemed like a deity. Perhaps the situation is similar at Lewandowsky’s UWA. However, this is obviously not the case at Climate Audit, where many readers are accomplished and professional statisticians. Actually, I’d be inclined to take Lewandowsky’s comment even further – adding that the ability to insert data into canned factor analysis or SEM algorithms (without understanding the mathematics of the underlying programs) is often “over-interpreted as deep statistical competence” – here Lewandowsky should look in the mirror. Two related problems and misconceptions appear to be pervasive: first, blog analysts have failed to differentiate between signal and noise, and second, no one who has toyed with our data has thus far exhibited any knowledge of the crucial notion of a latent construct or latent variable. Lewandowsky’s results are bogus because of his reliance on fake and fraudulent data, not because of replication issues in his factor analysis. Nor do I believe that there should be any “doubt” on this point. In my opinion, the evidence is clearcut: Lewandowsky used fake responses from respondents at stridently anti-skeptic blogs who fraudulently passed themselves off as skeptics the seemingly credulous Lewandowsky. That Lewandowsky additionally misrepresented explained variances from principal components as explained variances from factor analysis seems a very minor peccadillo in comparison (as I noted at the time.) On this last point, to borrow Lewandowsky’s words, there seem to be two alternatives. Either Lewandowsky “made a beginner’s mistake, in which case he should stop posing as an expert in statistics and take a refresher of Multivariate Analysis 101″. The decision on how many eigenvectors/principal components to retain has been a wheelhouse issue at Climate Audit. Steig (in Steig et al 2009) had misunderstood the commentary of North et al 1982 on principal components and had additionally and incorrectly reified Chladni patterns as physical patterns. We observed that Steig’s retention of only three eigenvectors had incorrectly spread observed warming in the Antarctic peninsula onto the rest of the continent. Retained principal components also (famously) arose in discussion of MBH, where Mann and others have created massive disinformation. Mann had notoriously used a highly biased principal components algorithm (not that a centered principal components method was necssarily correct either.) Using a centered principal components method, the bristlecone hockey stick, said by Mann to be the “dominant pattern of variance”, was demoted to a lower order PC (the PC4). Why a PC4 of a regional network should be a unique and magic thermometer for the entire world was never explained. In the NAS panel report, they recommended that bristlecones be avoided in reconstructions (regardless of which PC.) One would have though that this would have put a silver bullet in the MBH reconstruction. 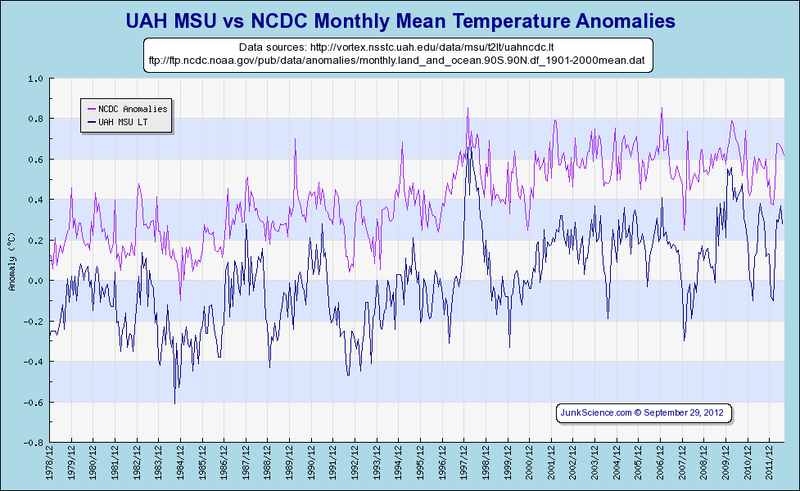 However, the climate science community has proved unequal to the small task of rejecting Mann’s use of contaminated upside-down Tiljander data. All these issues linger on. Yes, Montford is, indeed, a “freakin amateur” – what’s your point? BTW, have you guys never heard of LEDs? Ho hum… I suppose all the scientific enquiries (five?) that exonerated Mann’s work were evil warmist conspiracies, just like the NZ High Court? Meanwhile, the Wegman Report is exposed as a plagiarised fraud; let’s talk about that, shall we? All of us here are committed to enhancing the University’s reputation and to ensuring good governance prevails on campus. In this context, I want to mention the University-funded website: Shaping Tomorrow’s World. A number of alumni are concerned about the tone and quality of recent activity here [during September, 2102]. We wonder whether its operation is consistent with Convocation’s aims and the University’s mission to “achieve international excellence”. The Warden replied that he would discuss my request with the STW Editorial Board and prepare a formal response for the next Convocation meeting in early 2013. The Warden also was asked later to include STW’s moderator policy in the governance review. Easy. You get ethics approval from your university for the first and use it to push the second. According to UWA rules, Dr. Stephan Lewandowsky was required to obtain approval for his survey from the UWA Ethics Committee. He got that, the process took a week. Links to Australian Climate Madness – Simon Turnill who obtained information on this process through an FOI, request and Climate Audit – Steve McIntyre’s bait and switch post. Replicable effects such as the conjunction fallacy are obviously not confined to cognitive science. In climate science, for example, the iconic “hockey stick” which shows that the current increase in global temperatures is unprecedented during the past several centuries if not millennia, has been replicated numerous times since Mann et al. published their seminal paper in 1998. (Briffa et al., 2001; Briffa et al., 200 Cook et al. 2004; D’Arrigo et al., 2006; Esper et al., 2002; Hegerl et al., 2006; Huang et al., 2000; Juckes et al., 2007; Kaufman et al., 2009 ; Ljungqvist, 2010; Moberg et al., 2005; Oerlemans, 2005 ; Pollack & Smerdon, 2004; Rutherford et al., 2005; Smith et al., 2006). Prof Stephan Lewandowsky had to make an ethics committee application in order to survey anti-skeptics to “find out” whether skeptics are conspiracy mad nutters (as you would). Simon Turnhill launched an FOI to ask for information and has received some information related to the ethics application. Turnhill wondered why the application seemed so unrelated to the survey. I pointed out that I’d seen a different Lewandowsky paper that fitted the description in the application. Simon hunted and found Popular Consensus: Climate Change Set to Continue (where Lewandowsky shows people in the Hay St. Mall in Perth, some “stock market” graphs and asks them to extrapolate the trend). Lewandowsky appears to have done an ethics approval for this bland paper, and then put in a last minute request for a “slight modification” which was for an entirely different survey for a different purpose and an unrelated paper, and which, as it happens, uses an internet survey rather than a face to face one. But apart from that… it was nearly the same. Worse, Turnhill found that by the time Lewandowsky was finalizing the ethics application in August 2010, he’d already done that bland survey fully 7 months before, and the paper was almost finished. The submitted paper was received on Sept 7th 2010, (the day after he started sending emails to skeptics under the name of his assistant Charles Hanich). Turnhill notes that Lewandowsky refers to “The Survey” in the future tense and as if there was only one survey.